Despite his famous Connecticut name, John Harper Trumbull was not related to any of the three previous Trumbulls who had served as governors. His parents, Hugh and Mary Ann (Harper) Trumbull, emigrated from Ulster, Ireland, though the family originally came from Scotland. 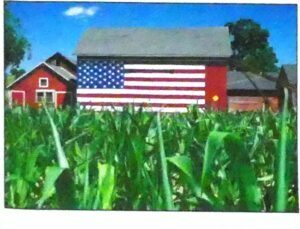 The Trumbulls moved to Ashford in the early 1870s to operate a farm, and John was born there on March 4, 1873. He was the oldest of seven children, all of whom were boys. The family later moved to Plainville where John attended public schools and developed an interest in the emerging industry of electricity. In 1899, John, along with his brother Henry Trumbull and business associate, Frank T. Wheeler formed an electrical business in Plainville. 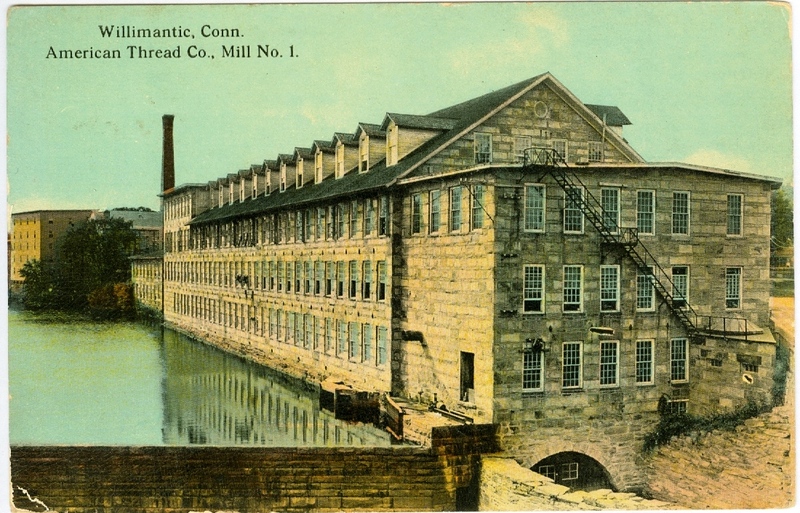 Initially known as the Trumbull Electric Company, it produced electrical switches, appliances, and supplies. The name was changed in 1903 to the Trumbull Electric Manufacturing Company, and later became part of General Electric. John Trumbull was President of the company from 1911 until his retirement in 1944. He was also active in other business firms, including serving as President of the First National Bank of Plainville, which later became the Plainville Trust Company, Director of the Plainville Realty Company, and Director of both the Bristol and Plainville Chamber of Commerce. On November 28, 1903, John H. Trumbull married Maud Pierce Usher, the daughter of Robert C. Usher of Plainville and Antoinette Pierce of Montgomery, Alabama. Maud’s father served as the Town Clerk of Plainville, a position which he held for many years. John and Maud had two daughters, Florence and Jean. Florence Trumbull married John Coolidge, the son of former President Calvin Coolidge, in Plainville on September 23, 1929. Jean Trumbull married Alaric R. Bailey of Jamestown, New York, in Plainville on October 1, 1935. A Republican, Trumbull entered politics in 1921, when he was elected to the Connecticut Senate from the 5th District. He served as President Pro Tem of the Senate from 1923 to 1925, when he became Lieutenant Governor under Hiram Bingham. Besides running for Governor, Hiram Bingham also ran for a seat in the United States Senate to fill the vacancy caused by the death of Frank B. Brandegee. Bingham won both offices and after one day as Connecticut’s Governor, he resigned to become a United States Senator. With Bingham leaving office on January 8, 1925, Trumbull became Connecticut’s new Governor. He served the complete term and was reelected two more times, each time beating the Democratic candidate, Charles Morris. Trumbull chose to retire in 1931. As a conservative Republican, he balanced the state’s budget and sought to assist Connecticut’s businesses. During his terms the state government began a building program and worked to improve Connecticut’s roads. When the Great Depression came in 1929 Trumbull could not prevent the state’s unemployment from growing or solve its financial problems. Trumbull did seek to become governor again in 1932, but lost to the incumbent, Wilbur Cross. When Trumbull left office he continued overseeing his varied business and personal interests. His factory building in Plainville still stands on Woodford Avenue. The Museum of Connecticut History owns a propeller from a plane he once crashed. It also owns a firearm that was presented to him by the Colt Company of Hartford. “Augusta Girl Bridesmaid for Miss Jean Trumbull.” Lewiston (Maine) Evening Journal, Oct. 1, 1935, pg. 3; digital images, Google News Archives: 26 May 2010). 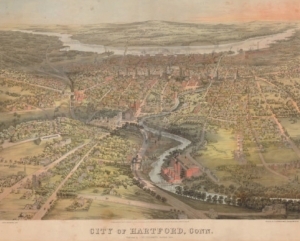 Burpee, Charles W. History of Hartford County, Connecticut, 1633-1928, Vol. 3 (1928), pp. 30-34, Chicago: S. J. Clarke, 1928 [CSL call number F 102 .H3 B8 1928]. The Congregational Church of Plainville, UCC. Wedding in 1929 was event of century, 2008. Glashan, Roy. American Governors and Gubernatorial Elections 1775-1975. Stillwater, MN: The Croixside Press, 1975 [CSL call number JK 2447 .G53 1975]. “John H. Trumbull Dies at 88: ‘Flying Governor’ from ’25 to ’31.” The Hartford Courant, May 22, 1961, p. 1A; digital images, Historical Hartford Courant, 1923-1984(http://www.proquest.com/ : 25 May 2010). Mitchell, Rowland L. Social Legislation in Connecticut, 1919-1939. Ph.D. Dissertation, Yale University, 1954 [CSL call number HD 8083.C8 M5 1954a]. Sobel, Robert and John Raimo. Biographical Directory of the Governors of the United States, 1789-1978. Westport, CT: Meckler Books, 1978 [CSL call number GIRS Ref E 176 .B573]. 40” x 50” in its frame, painted in 1926 by Ellen E. Rand of Salisbury, Connecticut. Another portrait of Governor Trumbull, painted by H. L. Wolff, was at one time loaned to the Library and displayed alongside this official one. In 1992 the Museum acquired a second portrait of Trumbull, donated by his daughter. Originally prepared by David O. White, Museum of Connecticut History, Connecticut State Library. Edited and revised by CSL Staff, June 2010.